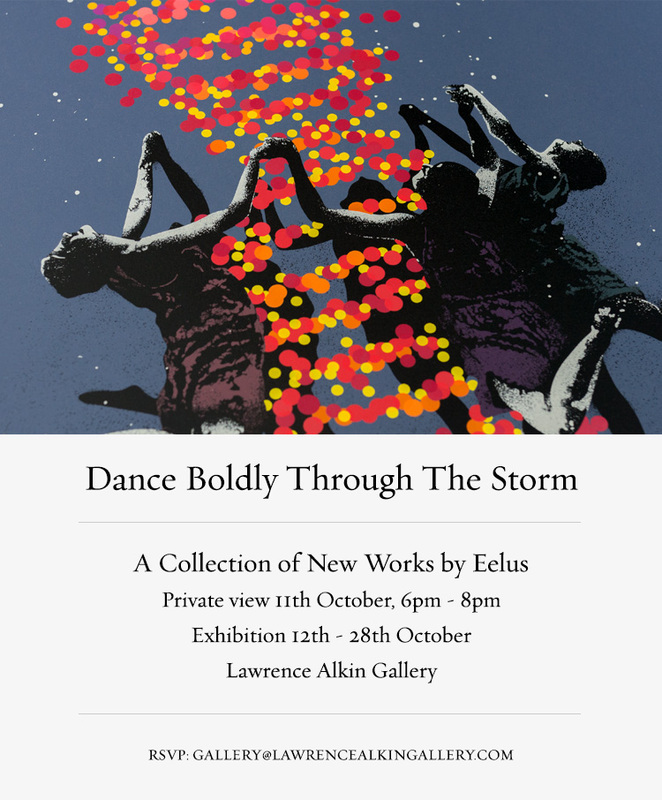 I’m very excited to announce my debut solo at Lawrence Alkin Gallery – ‘Dance Boldly Through The Storm’ – opens on October 12th. My first London show since 2010 will feature paintings on canvas, wood and paper, my first ever sculptural pieces and a brand new 12 colour screen print edition titled ‘We All Fall Down’. Please contact the gallery on gallery@lawrencealkingallery.com if you’d like to see the catalogue or attend the private view on October 11th from 6pm. Eelus’ trademark figures – chiefly melancholic women – are limned in color, suggesting the entanglement and necessity of light and dark.